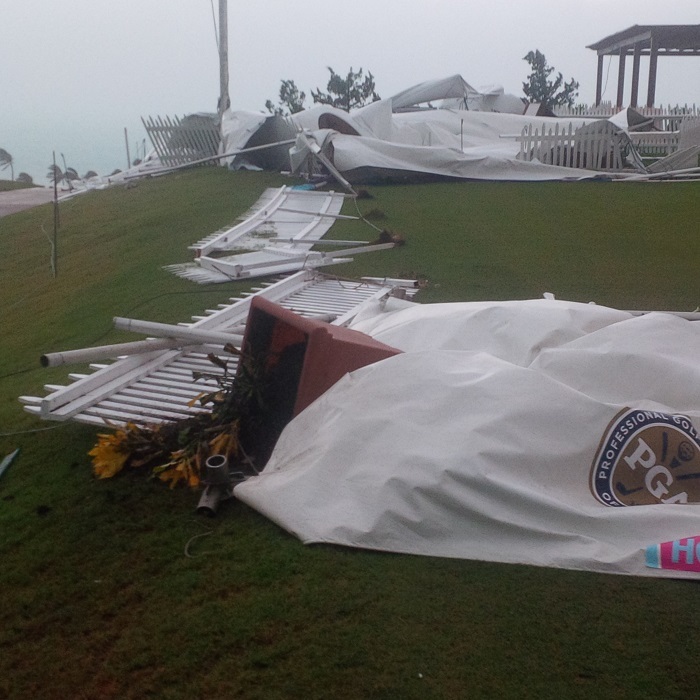 Update Oct 13, 8.04am: A PGA spokesperson said, “Gates for the 2014 PGA Grand Slam of Golf are set to open at 9:30am this morning as scheduled; however, shuttle buses from the Department of Transportation are not yet available for moving spectators from White Hill Field to Port Royal Golf Course. 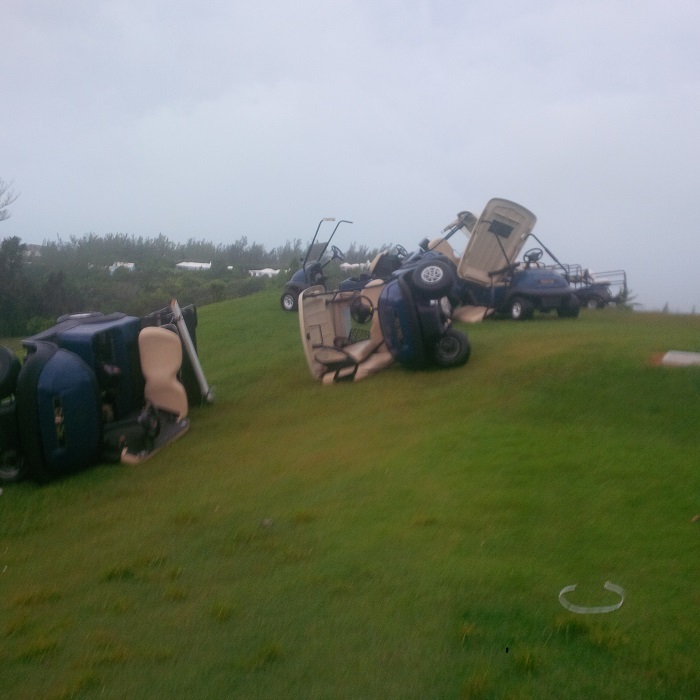 “Therefore, parking will be facilitated at Whale Bay this morning and spectators can then walk onto the golf course through a designated entrance. “The expectation is that public buses will be available as early as this afternoon which will allow for parking at White Hill Field. When those buses are in operation the media will be updated. “In the meantime, officials will be in place at White Hill Field this morning to redirect car traffic to Whale Bay. Motorbike parking is available at Death Valley. Update 1.10pm: A PGA spokesperson said, “Public buses are now in place at White Hill Field to shuttle spectators from their parked cars to Port Royal Golf Course for the PGA Grand Slam of Golf. This morning, as a result of Tropical Storm Fay, buses were not available at White Hill Field so officials opened Whale Bay to facilitate parking. With public buses now in service, White Hill Field is ready for use as the parking facility for the duration of the event. 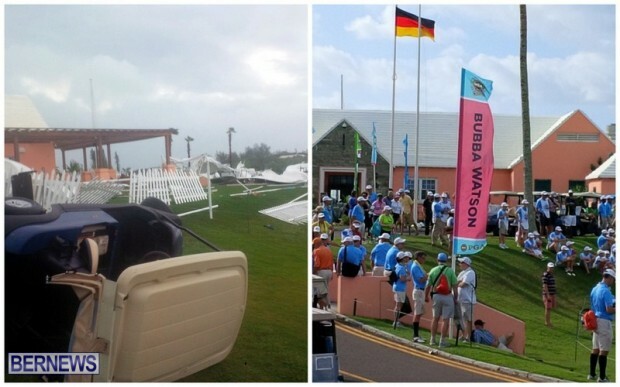 Update 3.19pm: A before and after photo showing the success of the clean-up efforts at Port Royal… left is yesterday morning after Fay struck, and right shows Port Royal hosting the first day of action today. For all our coverage of Tropical Storm Fay click here, and for our live blog click here. All the best Port Royal; I’m sure the Slam will be wonderful. 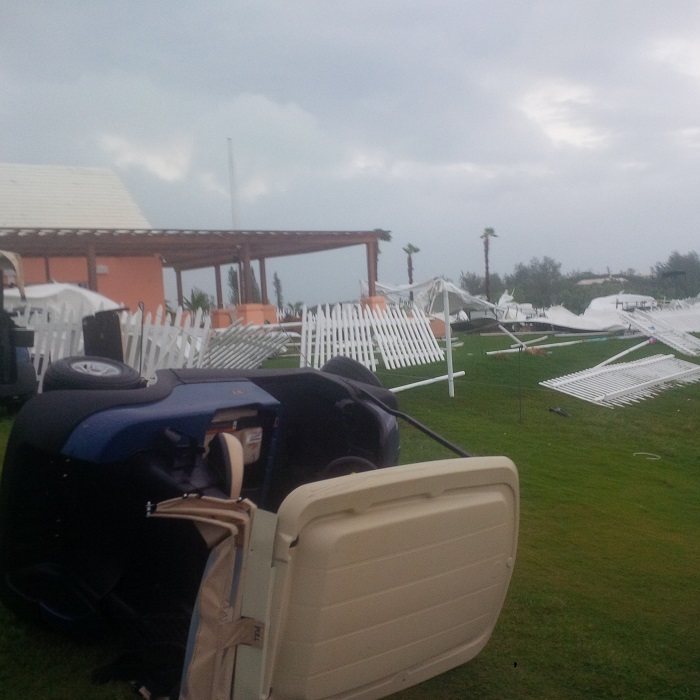 Big respect to all who were at Port Royal Golf Course today helping out!I saw it after our unfortunate natural occurrence,and after the clean up!Blessings to you all!!!!!! I see the Pictures – which looks like pure davastation but I’m sure with rapid clean up ‘ that it dos’nt look like that now. Should be a good event. I bet anytime is a great time to change the name of Death Valley. Believe it or not, they tried to change the name a few years ago but there was opposition to it from residents in that area. But I’m sure in time the name will change. Awesome Effort Port Royal staff, organizers and volunteers.